Evert Tennis Academy 10334 Diego Drive South Boca Raton Florida 33428 U.S.A.
Lexington Country Tennis Complex 425 Oak Drive Lexington Lexington South Carolina 29073 U.S.A.
Windward Lake Club 2001 Lake Windward Dr Alpharetta Atlanta GA 30005 U.S.A.
H.E.B. 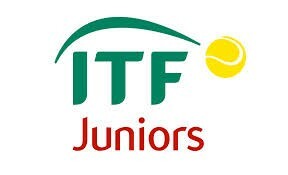 Tennis Center 1520 Shely Street Corpus Christi Texas 78404 U.S.A.
Lost Creek Country Club 2612 Lost Creek Blvd Austin Texas 78746 U.S.A.
USTA Billie Jean King National Tennis Center	Flushing Meadows - Corona Park Flushing New York 11368 U.S.A.
JTCC COLLEGE PARK JUNIOR TENNIS CHAMPIONS CENTER 5200 Campus Drive College Park Maryland 20740 U.S.A. The Merion Cricket Club 325 Montgomery Ave Haverford PA 19041 U.S.A.
Frank Veltri Tennis Center 9101 NW 2nd Street Plantation FL 33324 U.S.A.
Salvadore Park Tennis Center 1120 Andalusia Avenue Coral Gables Florida 33173 U.S.A.
Delray Swim & Tennis Club 2350 Jaeger Drive Delray Beach FL 33444 U.S.A.
StubHub Center USTA Training Centre 18400 Avalon Blvd. Carson CA 90746 U.S.A.
Indian Wells Tennis Garden 78-200 Miles Ave Indian Wells CA 92210 U.S.A.
Irvine Great Park 8239 Great Park Blvd. Irvine CA 92618 U.S.A.